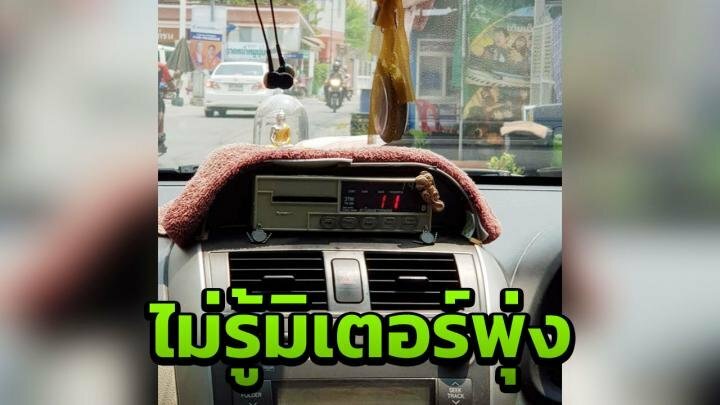 A Thai woman went online to warn fellow passengers after she traveled in a taxi from Don Muang airport to her home in nearby Laksi on Sunday. All seemed normal until they got to the last few hundred meters near her home – in 200 meters the fare leaped from 67 baht to 117. She was faced with a fare of 167 baht including the 50 baht fee for using the airport rank. The driver said he didn’t know what happened and said to just give him 120 baht. There had been suspicions about the driver on the journey. The passenger took pictures inside the vehicle of the meter and the internal registration card. When she contacted the Department of Land Transport it was found that the registration inside and outside the vehicle did not match. Thai Rath reported that the company that owns the taxi had been ordered to stand the car down for thirty days. The meter is also now being investigated. The passenger told Thai Rath that the fare to her house is never over 120 baht even with the 50 baht surcharge included. She advised those complaining to take pictures of the registration inside and outside the vehicle.